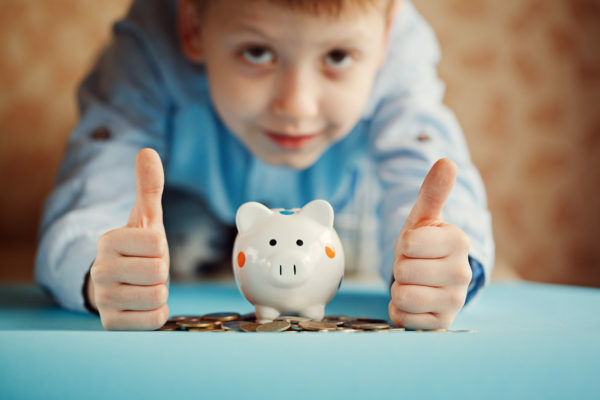 More than a third of Australian parents are borrowing money from their child’s piggy bank or account for urgent expenses, a new survey shows. And nearly 30 per cent are lying to their children about money, the survey by the Financial Planning Association says. The findings are part of the FPA’s Share the Dream: Raising the Invisible-Money Generation national research report into Australian parents of children aged four to 18, released on Wednesday. The research showed two thirds of parents (66 per cent) believed digital money is making it harder for their children to grasp the value of real money. “That’s why we’re calling them the Invisible-Money Generation,” FPA CEO Dante De Gori said in the report. The findings showed Australian parents are stressed and concerned about their children’s financial future, with more than two in five admitting they believe their children will lack the skills to become financially successful upon independence. “In fact, three-in-five (62 per cent) parents believe their children’s generation will be financially worse off than their own,” the survey found. This was despite parents saying the Invisible-Money Generation were more confident, financially literate and curious about money matters than they were at the same age. Parents also admitted to not always being above board in their dealings with their children about money, with 38 per cent borrowing money from their child’s piggy bank or bank account for urgent expenses and 29 per cent lying to their children about money. However, working teenagers were more prepared for the future, showing a greater interest in learning about taxes and superannuation than those without a job. The findings followed a national survey of 1003 Australian parents with children aged between four and 18 between June 13 and 25.